When Pixar Animation Studios unveiled its first feature film in 1995, it represented a rebellious pushback against a formula that some people might not have been conscious of until watching Toy Story. Only then were audiences reminded that not all mainstream animation needed to have Broadway-style songs, straightforward leading characters paired with talking-animal sidekicks, or the like. When The Little Mermaid was released in November of 1989, it felt like the culmination of what Disney animation and its rivals were trying to accomplish in reviving the form for a younger generation; movies like The Great Mouse Detective and An American Tail had paved the way, but didn’t approach the same qualitative cohesion as the story of Ariel and her dreams of being human. But within 6 years, its story structure, characterization, and aural composition were no longer even mildly groundbreaking. 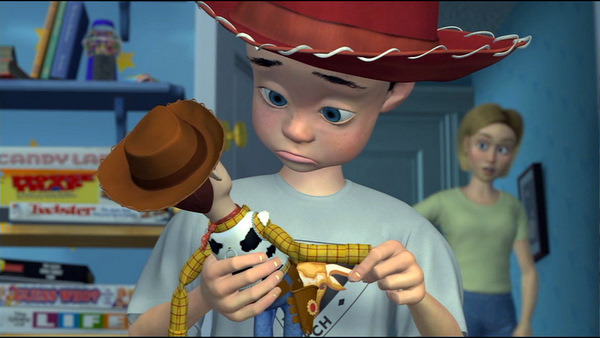 The same happened with Pixar and its films; even though Toy Story owes a great debt to the buddy comedies of the 1980s, its combination of unique visuals, childhood nostalgia, and action once felt fresh and new. Now, Pixar has become, in some ways, a symbol of the modern formula of animation. This doesn’t automatically relate to the quality of Pixar’s films, granted; many of their films operate within a familiar set-up or series of tropes and are still extremely entertaining, emotional, funny, and all-around successful. But what felt daring and singular in Toy Story soon became what audiences expected, not what they were surprised by. Until The Incredibles was released in 2004, Pixar’s films didn’t primarily feature humans, aside from one or two key characters like Andy or Boo. Instead, their animators created increasingly beautiful facsimiles of worlds with which we were mildly familiar: the world of toys, the world of bugs, the world of fish, and so on. And so many of their films—though not all—are headlined by a mismatched duo of sorts: there’s Woody and Buzz, Mike and Sulley, Marlin and Dory, Lightning and Mater, Remy and Linguini, and so on. 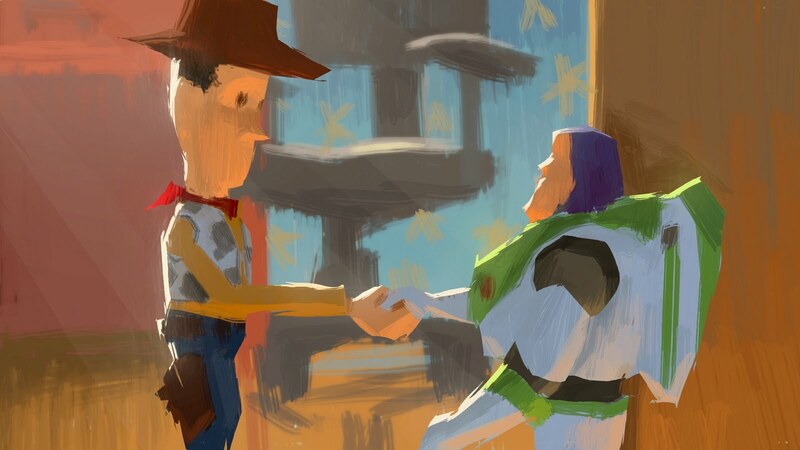 Arguably, the reason why Pixar has relied on such similarities throughout its two decades of making feature films is simple: both creatively and financially, the basic tenets of their storytelling formula have worked. Of course, as with most formulas, no matter how much Pixar twists it and turns it so audiences are dazzled by a new locale or high concept, other studios have adopted and diluted their style. Shrek, for example, may have seemed shocking for its willingness to skewer Disney’s old-school style, but features a mismatched pairing, a unique take on a familiar setting, pop-culture references, and more. In 1995, the year that brought us both Toy Story and Pocahontas, which began the latter half of the Disney Renaissance of the 1990s, only five animated movies were distributed in wide release around the United States. Though there was certainly competition surrounding Walt Disney Animation Studios at the time, most of the serious threats, such as Don Bluth’s studio, had dwindled in prominence. In fact, it took until the 21st century (2002, specifically) for there to be 10 or more animated movies in wide release in a single year. Animation was revived initially via the Disney Renaissance, but it was Pixar that delivered the medium safely into the 21st century. Before Pixar, animation was a yearly event precisely because there was so little of it. By now, animation is, at best, a monthly occurrence; sometimes, you can’t go more than a few weeks between one studio’s new animated feature and another’s. Its event status has vanished. The issue of Pixar operating with a formula becomes most pressing now because of the studio’s current standing with the public. Over the weekend, the phenomenon that is Frozen notched another victory in its ever-growing belt: it is now the highest-grossing animated film ever made, with a higher worldwide box-office take than the previous record holder, Toy Story 3. In fact, Frozen has become the highest-grossing non-Marvel Disney film ever worldwide, surpassing the second Pirates of the Caribbean film as well. There’s no way to diminish the success of Frozen; of course, adding inflation to these numbers means that Frozen isn’t number-one, but making over a billion dollars at the box office is still an incredibly impressive feat. And, unlike a number of other billion-dollar grossers (like, say, Alice in Wonderland or Transformers: Dark of the Moon), Frozen has had a massive cultural impact. This film is the all-too-rare case of a movie surviving thanks to its fantastic word-of-mouth. Though not everyone who’s seen the film may love it (such as this writer), that it continues to make money in spite of being available on DVD, Blu-ray, and digitally means that a lot of people love Frozen. The success of Frozen doesn’t mean that Pixar has to change its formula, or its storytelling style, but it does mean that general audiences may once again be shifting their tastes. Pixar should not respond to Frozen and its overwhelming popularity by copying the film, basically doing what other studios did when its own pictures were big hits. But the studio should attempt to move forward in a more cognizant way, more willing to break away from what made them the standard-bearer of computer animation. There is always an inherent challenge in creating the new, but Pixar has done this in the past with some of its stalwart directors: Ratatouille, WALL-E, and Up are aggressive steps forward technologically and creatively, and all from directors who’ve been firmly ensconced with Pixar for years. Formally, this trio is drastically improved from early films like Toy Story and A Bug’s Life, both of which feature a handful of shots that attempt to mimic or replicate live-action filmmaking and cinematography. But to compare Toy Story to, say, WALL-E in terms of its cinematography and editing is to compare a single-A pitcher to Nolan Ryan at the peak of his prime. It’s obvious, in such moments as when WALL-E rifles through the trash heap that was once Earth, that the level and detail in each shot, both in movement and scope, is far greater than in the studio’s earlier work. The stories in these films shake up the familiar aspects of the Pixar formula. Though Ratatouille and Up may be variations on the buddy-comedy trope, they aren’t as clearly ticking off boxes on a checklist as even something as charming and witty as Finding Nemo. 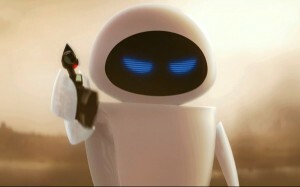 But it’s WALL-E that exists as the most anti-formula film Pixar’s ever made; there is a pairing of sorts between WALL-E and Eve, but it’s a romantic coupling that has to overcome a series of obstacles. These two are rarely together, often dealing with separate crises in the hopes of reuniting. If there is a critical consensus on the film, or any amount of serious debate on the film’s merits, it revolves around the fact that the first 40 minutes are almost entirely dialogue-free before shifting into a more traditional adventure story. In these critiques, there’s a not-so-burrowed frustration that Pixar didn’t make a wholly experimental feature film; the first half of WALL-E is something of a tease of a film that could be even more formally daring, building up to a nonexistent payoff. These critiques may be accurate to a point—whether or not the shift works, as soon as WALL-E hops on the spaceship to follow Eve to the Axiom, the stakes are intensely different. However, WALL-E remains the most fascinating feature in Pixar’s filmography, and the best possible example we currently have of what the future might look like for this studio. Pixar’s consistently successful track record has allowed some of its filmmakers to exit the studio and work on passion projects elsewhere. Not all of these migrations were successful—it’s easy to see Andrew Stanton’s choice to direct Finding Dory as a subtle retreat away from live-action after the unfortunate box-office failure of his messy but exciting John Carter—but they have allowed Pixar’s next generation of filmmakers to take larger leadership roles on shorts and features. It is here that Pixar can define its future more specifically. 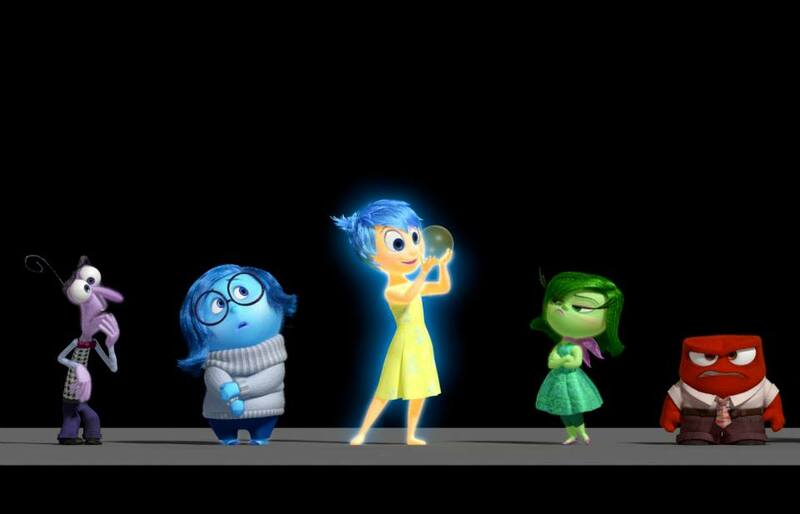 From all current accounts, it seems that Inside Out, Pete Docter’s next effort for the company, will break away from the old-faithful formula of years past. After the fallow period of 2014, Inside Out may end up being a new statement of purpose for Pixar going forward, at least in terms of how they go forward in creating original stories and characters. But it will be more definitive to see what Pixar’s second generation of directors can do on their own. By now, we’ve seen just two movies from directors who weren’t part of Pixar’s top team from the beginning. (Though Lee Unkrich’s first sole directing job was Toy Story 3, he was co-directing features beginning with Toy Story 2.) Brave, unlike Monsters University, is an original project, but its messy and somewhat troubled production may not offer the best barometer moving forward. And Monsters University, while being an enjoyable and funny prequel, works best as a possibly unintentional meta-commentary from director Dan Scanlon about the fear of letting pressure get the best of you when you’re following in your heroes’ footsteps. The next best guess we’ll have as to what Pixar can offer after its 20th anniversary from the younger generation will be The Good Dinosaur. As of this writing, that film is still slated to open in November in 2015; though Bob Peterson, the original director, has been moved off the project, co-director Peter Sohn is still on board. (Things could change, and rapidly. This column, every once in a while, manages to be proven wrong by breaking Pixar news, so maybe within a day of publication, The Good Dinosaur will have a new director or directing team. Or maybe it’ll be pulled off the schedule indefinitely. You never know anymore.) On the surface, this movie might end up echoing some aspects of the Pixar formula, such as introducing us to a world unfamiliar to the modern one and having a buddy pairing at its core; hopefully, as with many of Pixar’s best films, The Good Dinosaur will surprise us. Pixar has not become an also-ran in the world of mainstream animation. Although Walt Disney Animation Studios has arguably become the dominant player thanks to Frozen, their future is equally vague and unsure; as mentioned here in the past, their next film Big Hero 6, slated to open in November, will likely not appeal in the same way that Frozen did. However, as documented here in the past, Pixar’s standing as a critical and commercial darling has shifted for a number of factors. Their growing reliance on sequels—possibly an edict forced upon them by Disney CEO Bob Iger, though we’ll probably never know for sure—coupled with staffing issues has made Pixar’s flaws more apparent, their imperfections more obvious. It’s not imperfect for them to rely upon a formula in their storytelling, any more than it was for Disney to do so during their 90s-era Renaissance. In the future, though, it’s in Pixar’s best interest to go back to what people once considered their status quo: surprising us, and avoiding the pitfalls of being predictable.